Miami is a forward-thinking town, and the next generation of philanthropists have already taken ownership of our community’s future success. 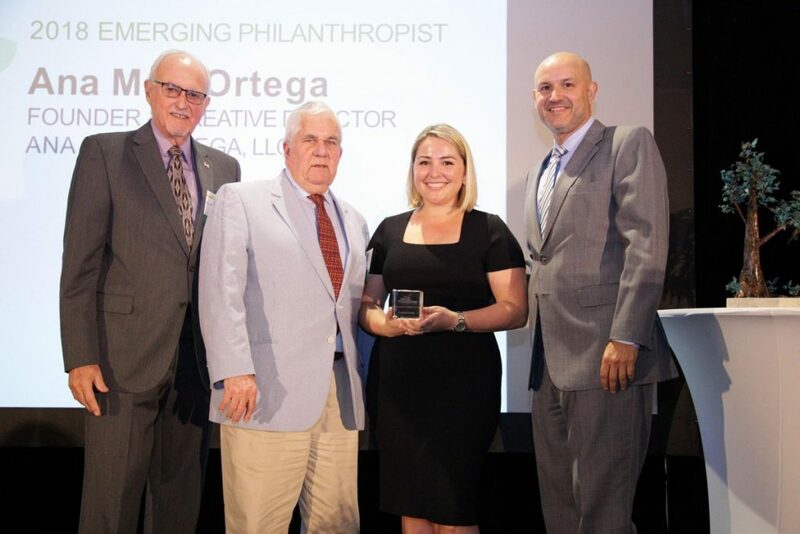 The Miami Foundation’s Emerging Philanthropist Award annually celebrates a 40-or-under donor who uses charitable giving to drive measurable results around a local cause, broadly improve the lives of Miamians and encourage others to give. The hope is to inspire other rising philanthropic leaders to see how any donor at any age can have a real impact on issues they care about. The nomination period for the 2019 Emerging Philanthropist Award has ended. For questions about the award, please contact Rebecca Mandelman, vice president for strategy and engagement. DR. MICHAEL ROSENBERG, HANK RAATTAMA, ANA MARI ORTEGA AND JAVIER ALBERTO SOTO AT THE 2018 PHILANTHROPY MIAMI DONOR NEXT DOOR LUNCHEON.